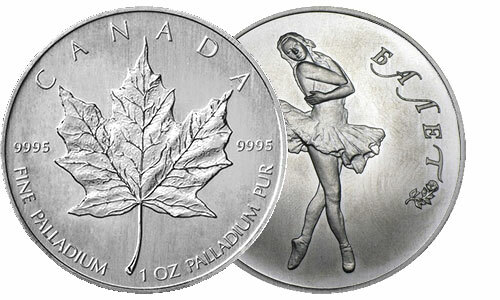 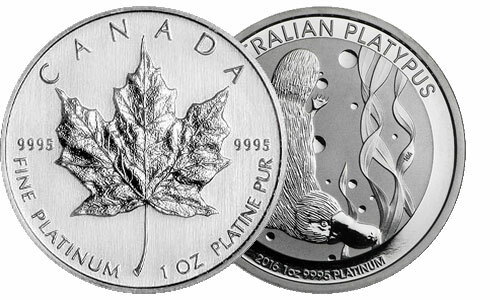 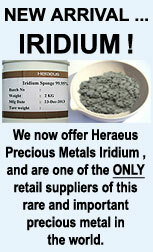 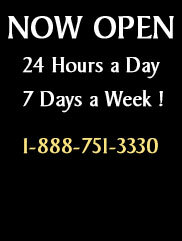 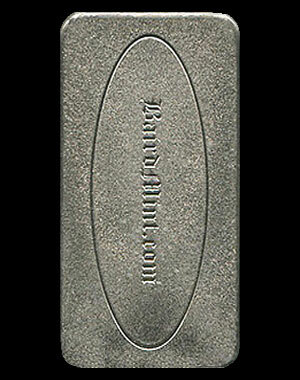 represents the very best value in rhodium bullion to be found anywhere. 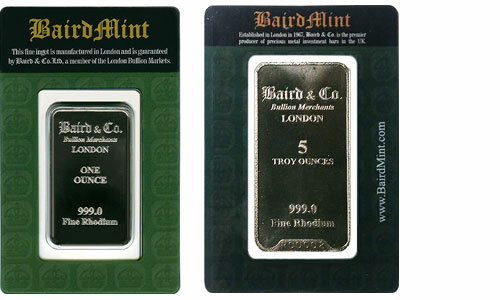 Minted in the United Kingdom, each bar contains .999 pure rhodium, the rarest precious metal available in bar format. 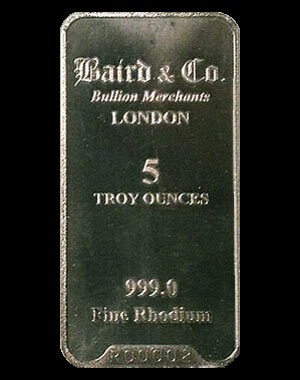 The bars are fabricated by the renowned British bullion manufacturer, Baird & Co. Made with a hint of English pride, they conform to the very highest standard of quality. 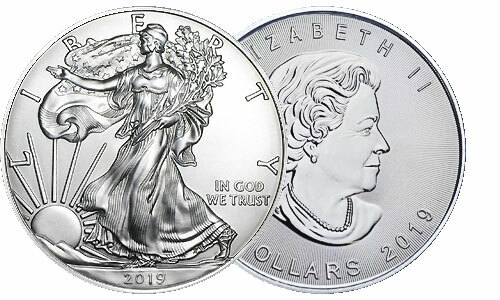 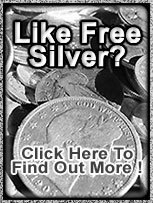 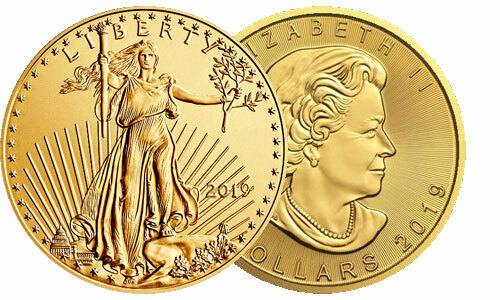 Liberty Gold and Silver guarantees to always offer the very lowest online price for all rhodium products sold on our site.